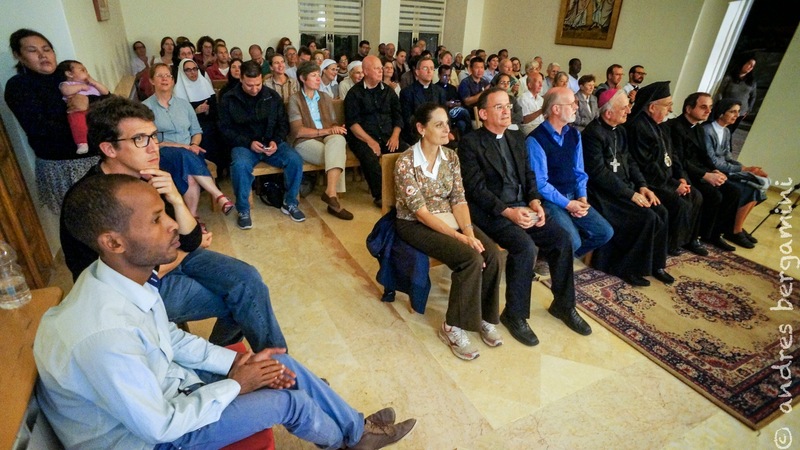 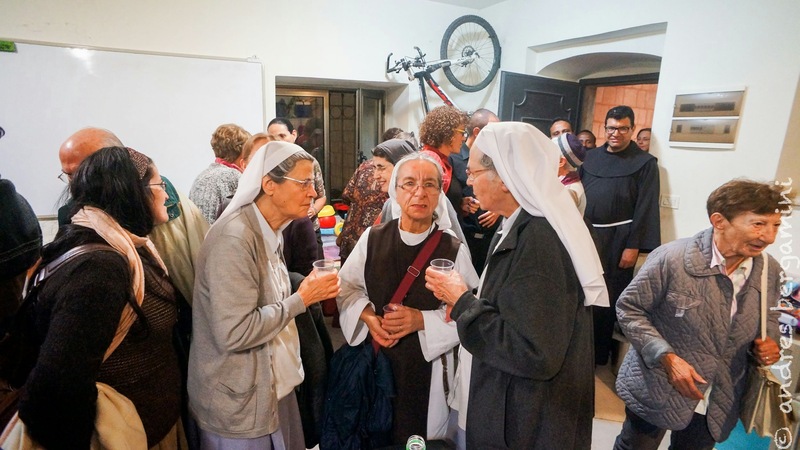 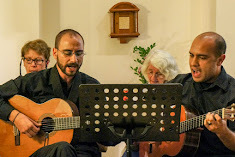 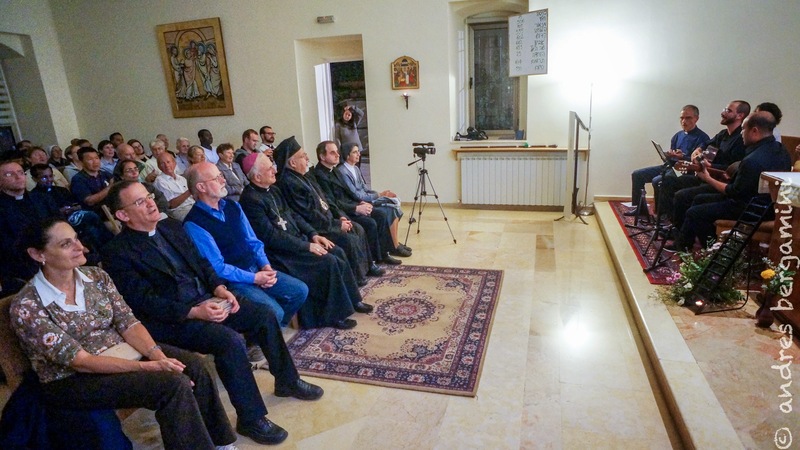 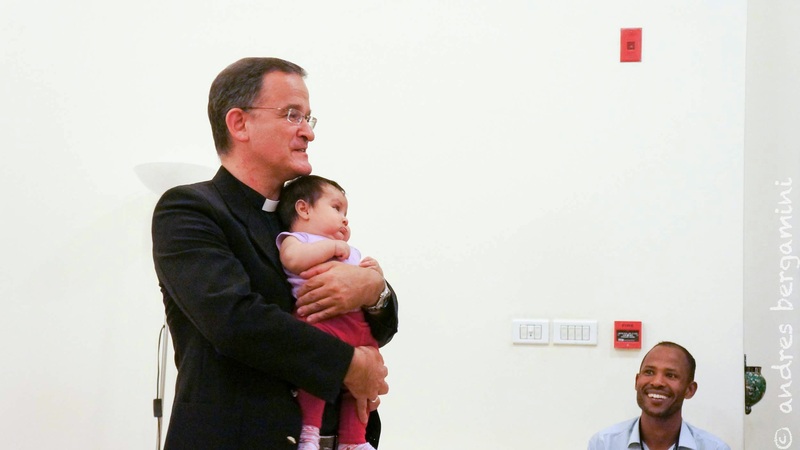 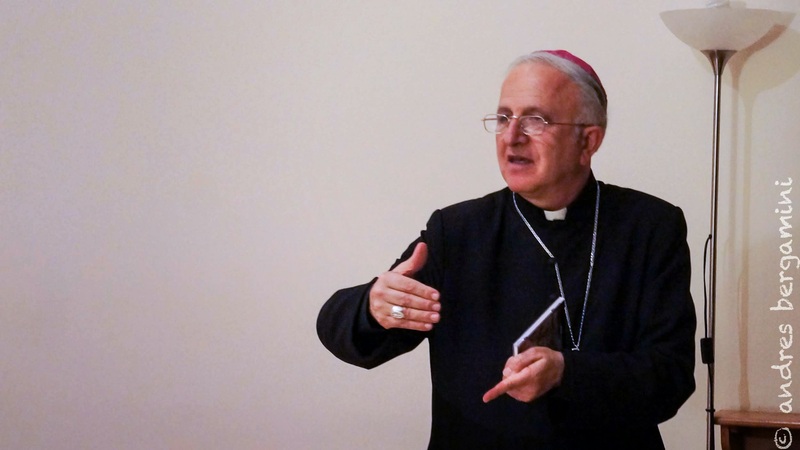 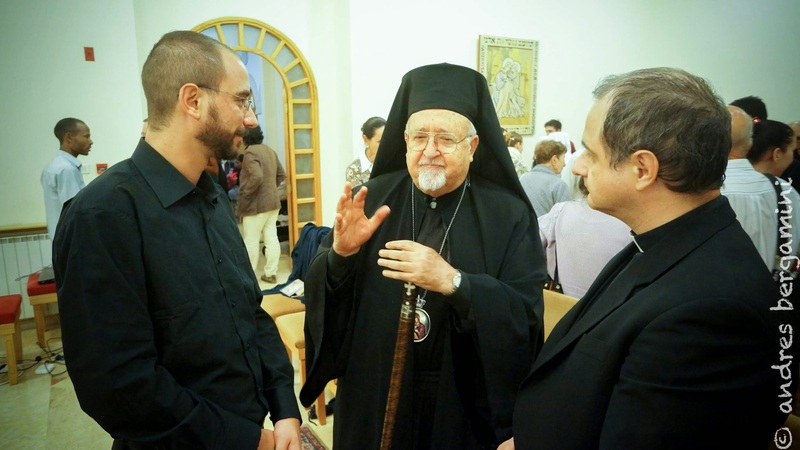 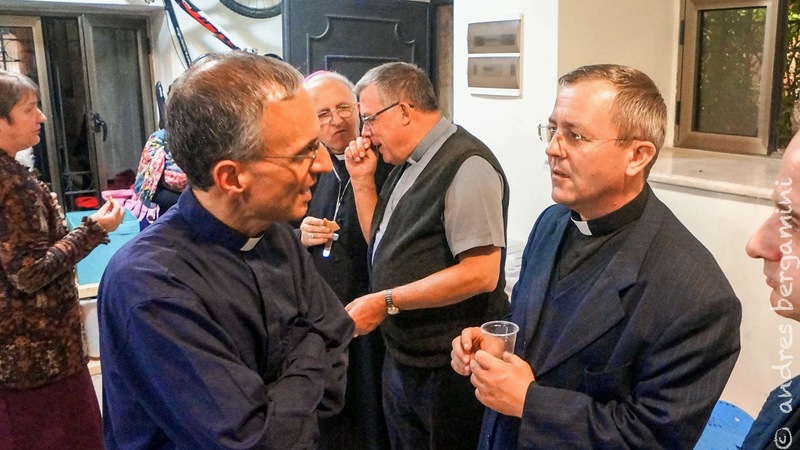 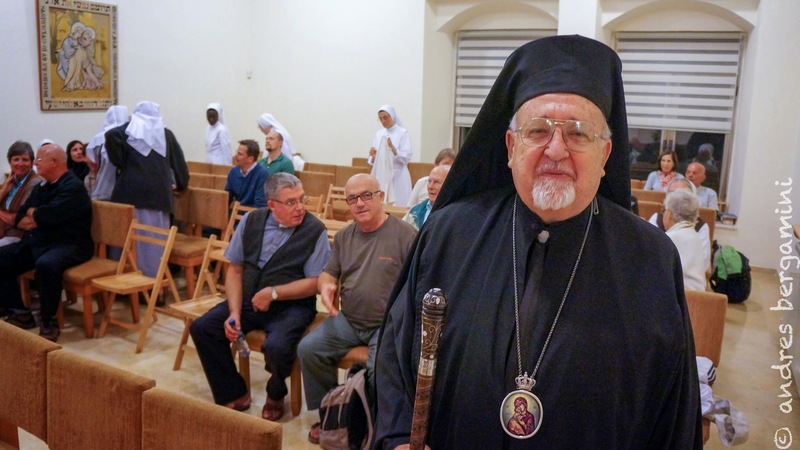 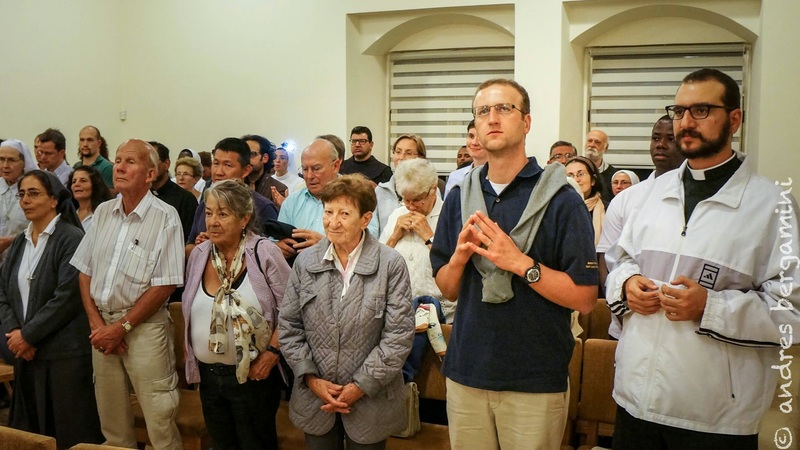 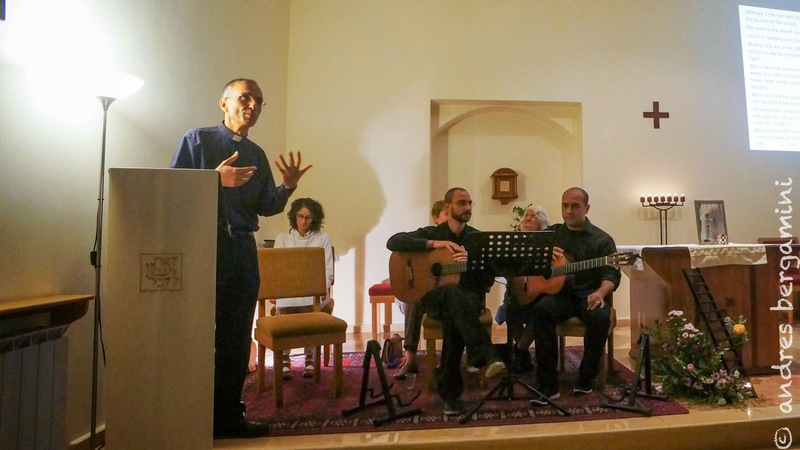 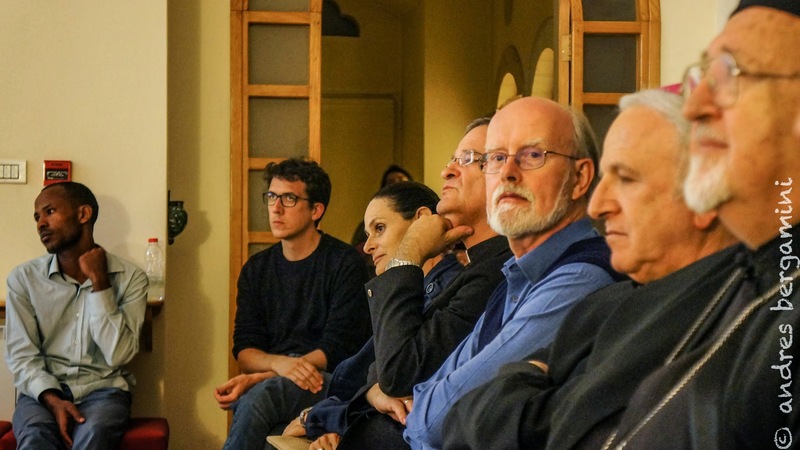 JERUSALEM – On Wednesday 22 October 2014, the Hebrew-speaking Catholic Community of Jerusalem, gave a concert in order to familiarize audience with liturgical hymns. 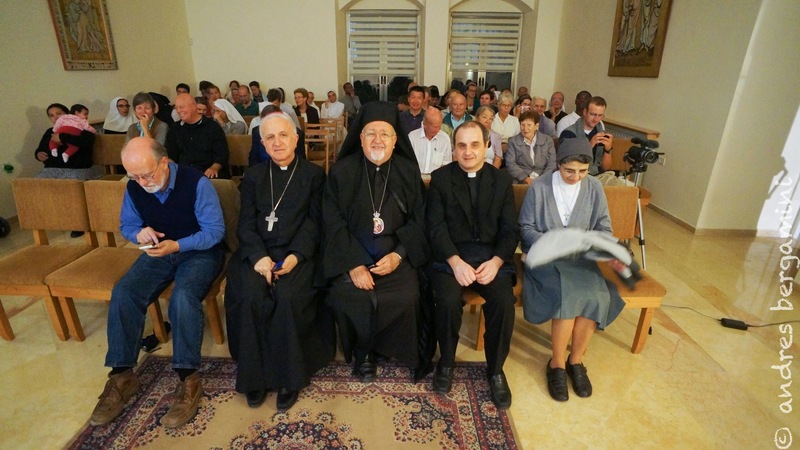 Many guests attended, including Bishop Msgr Shomali. 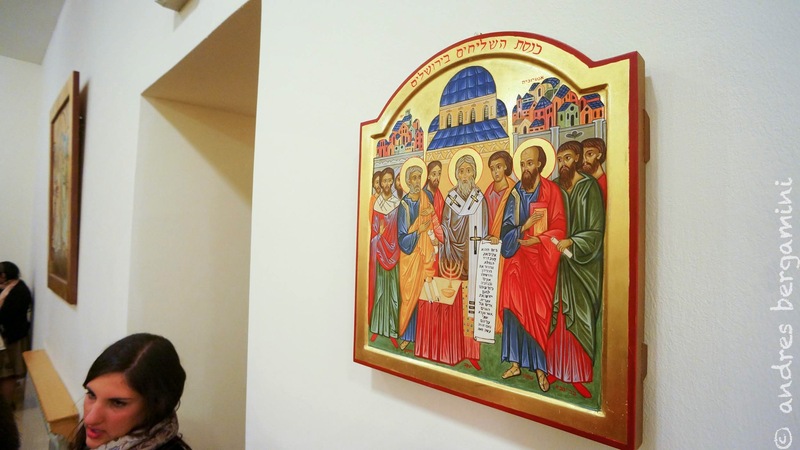 The speciality and unison of the Church of Jerusalem consist in a variety of rites, liturgies, languages and traditions in which they are expressed. 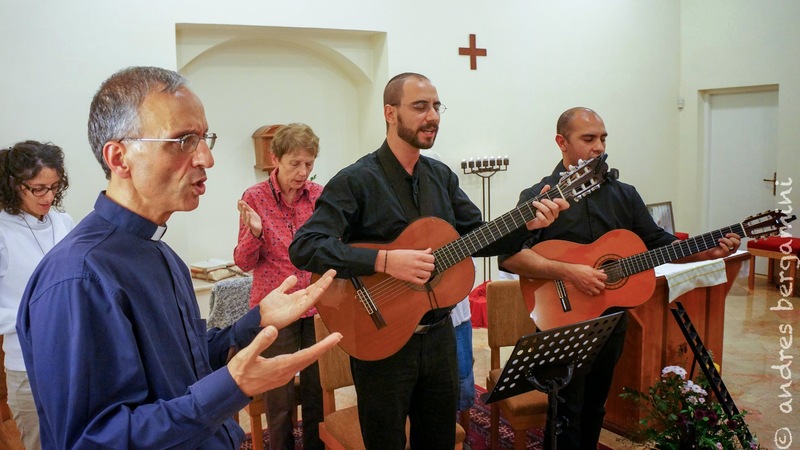 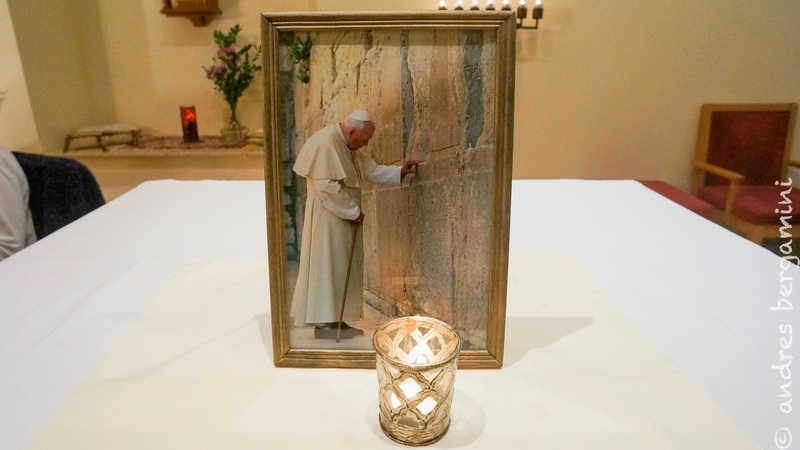 An important place is reserved to the Catholic Hebrew-speaking community which since its establishment (in the years 50s) and until this day composes its own hymns, the texts being inspired from the Holy Scripture. 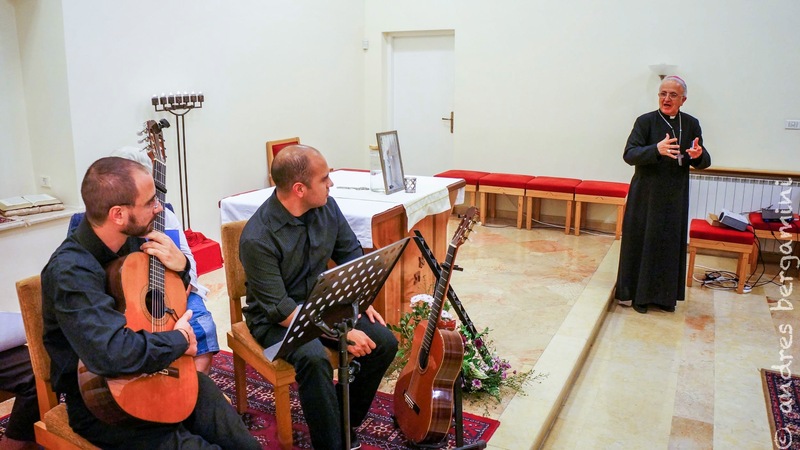 During the concert given on Wednesday at St Simon & St Anne’s Chapel in Jerusalem, the skilled musicians (Fr. 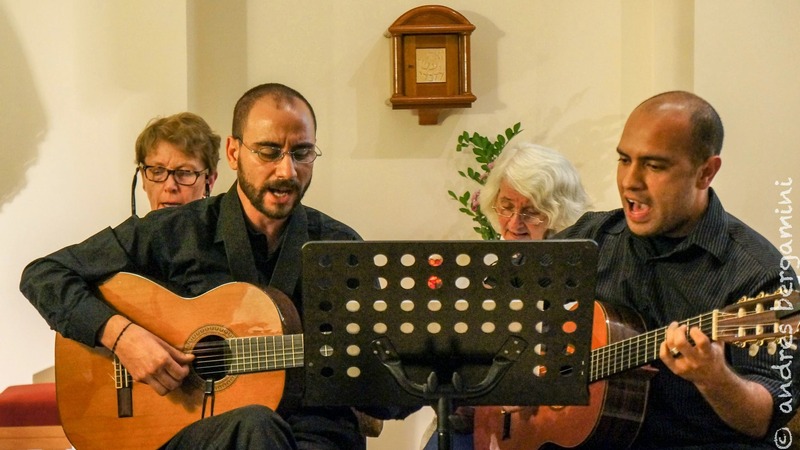 Rafiq, Benedetto, Tiago, Martine, Eliane and Samia) played different songs for each liturgical time stretching from Advent through to Pentecost. 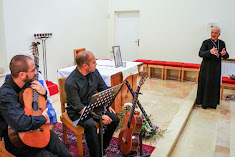 They started with Psalm 1, sung in memory of Brother Yaacov, who died on the same day of the concert given in Summer 1995, ending with Psalm 150, interpreted with joy and thanksgiving to John Paul II, whose first memory was honoured. 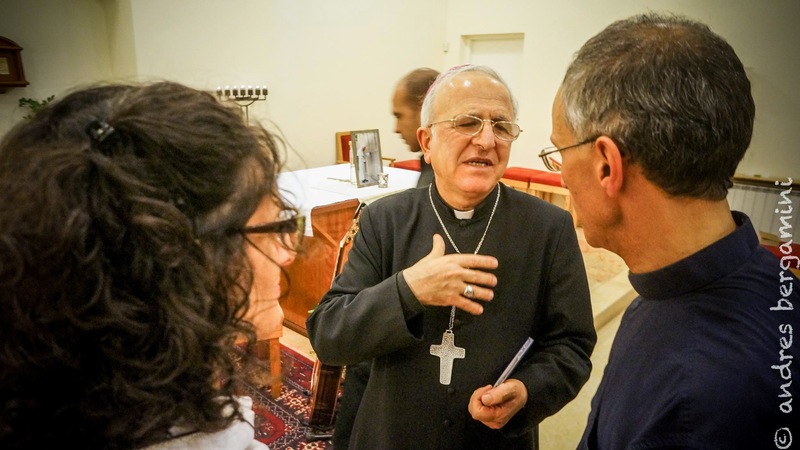 Among the guests of honour were the Greek Catholic Archbishop, Yusuf Jules Zerey ; Mgr Matteo de Mori, Advisor at the Holy See Nunciate, Sr Frida Nasser, head of the Fraternity of Religious of the Holy Land ; Fr. 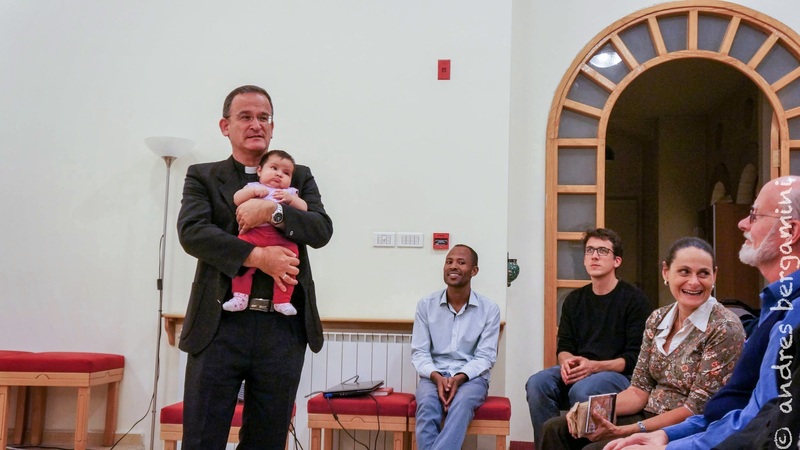 Paraic Reamonn, Minister at the Scottish Church. 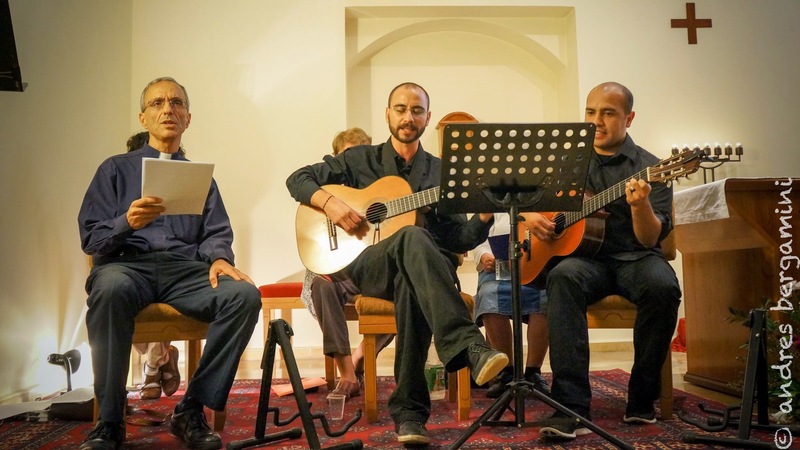 Before leaving the chapel for a glass of friendship, all guests, some one hundred persons, sung together Our father in Arabic and in Hebrew.